My school – with its 4,000+ students – has a resource problem each term. They need the right number of classes for the right number of students (no more than 34 per class per the UFT contract) with the right number of teachers during the right time of day (our school has 3 split sessions). At the start of the term, particularly in September, every student is programmed into the classes they are supposed to be taking, and the administration has 10 days (I think?) to bring all class sizes down to 34. Most classes are at maximum capacity. This means the school needs to determine who the ‘no shows’ are – students who have moved away and not been removed from the roster by the Department of Education, or who have changed schools, or left for some other reason. Some students appear to be no-shows, but actually arrive to school a week (or two or three) late due to family travel or circumstances, and need to be programmed into the mix. At the end of approximately two weeks of school, a portion of the students receives new schedules as a result of this process, known as EQUALIZATION. An interesting choice of word. So here’s the thing. I teach a Discrete Math course, which is written as a series of discrete (sorry, couldn’t resist) topics that fall under that mathematical umbrella, or if not, are topics that I deem engaging, relevant, useful and/or creative. Those topics have included probability, voting theory, logic puzzles, personal finance (how to read a pay stub, taxes, managing a bank account, credit cards), problem-solving strategies, linear programming, and modular arithmetic. I vary the curriculum from term to term based on prior successes and current class make-up. I like the course because (a) it’s interesting and (b) we can set our own pace, not shackled by a Regents schedule. This allows me to use multi-day activities and projects that time constraints do not permit in Algebra 2 or Geometry. The students who are programmed for this class (and forgive me, regular readers, for being redundant) are students who have (a) failed Algebra 2 (b) passed Algebra 2, but not deemed Pre-Calculus material, (c) passed Geometry but not the Regents exam, and thus not deemed Algebra 2 material. I have some seniors who are still trying to complete a 4-term Algebra 1 class, and need more math credits to graduate; these students take two math classes in an effort to graduate on time. I also get a lot of English Language Learners in this class, and students with IEPs, who may have passed everything through Geometry but didn’t sit for the Regents exam. This class, while serving a purpose for all of these children, is undeniably an off-track class. Whether or not a student wants this, they are being taken off the higher math track. This bothers some students, others are relieved that they don’t have to deal with challenging upper level courses. But when equalization happens, I get a different set of students, who arrive bewildered and somewhat unhappy. These children have been ‘bumped’ from Algebra 2 to Discrete Math due to class size. It might just be the process, or perhaps some student arrived late to school, as previously described, and got their seat because it made the overall schedule feasible. At least two of these children took a look at what we were doing – Number Talks and logic puzzles, and asked to see their guidance counselor. One young man was particularly displeased told me that he didn’t understand why he was ‘kicked out’ of Algebra 2; he had been doing well for the first few weeks. I sympathized with his plight, and told him that a parent call to the school might be the most effective means of moving him back. Did I mention that the vast majority of students in these classes are people of color, and that most of that color is Black? Or perhaps from this story, you have already figured that out. Please don’t misunderstand me. 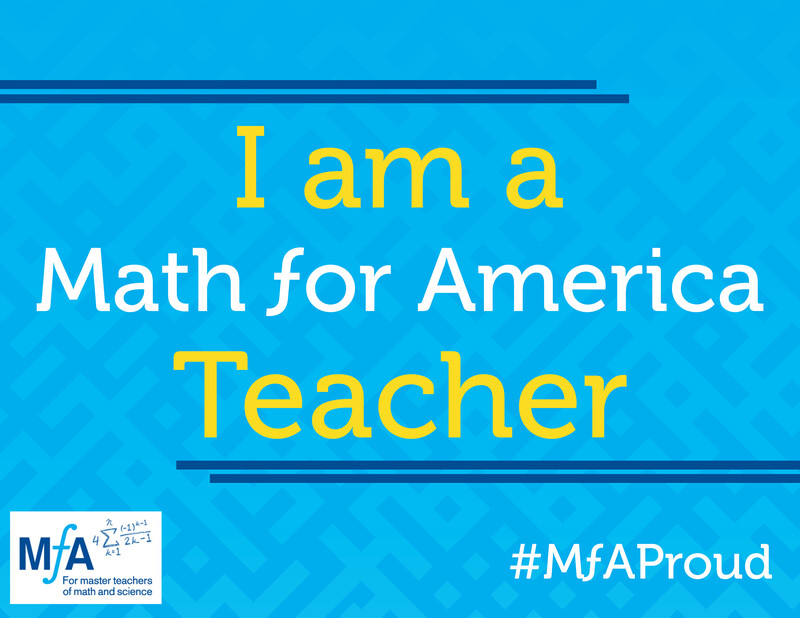 I respect my students completely, and work very hard to design a course that will open them up to an appreciation of math that they may not have had before, and a sense that mathematics does not represent a door that is closed to them. I also carefully consider means to differentiate for the wide range of academic readiness (I hate that term, but that’s the best one I can come up with at the moment); a bored and disgruntled student can either check out or become hostile, as happened last fall. One of my goals this year has been to provide the greatest level of educational opportunity I can for all my students. So how do I can I accomplish this given the programming constraints at my school, which I am pretty much completely powerless to change (voting with my feet would be my only option)? I’ve thought about that a lot in the last week or two. I don’t want to change the curriculum for this course (which I could because as long as there are no complaints or violations of regulations, there is little oversight of this class; I am counted upon to help as many students as possible earn a credit, by any means I deem appropriate). It’s not supposed to be an Algebra, Geometry or Pre-Calculus class, and I don’t really want to teach it that way. So I asked the kids on Friday. It was good to hear that not only did students find the class challenging, but that, by engaging with the content, their initial impressions of the course were improved. I’m still not sure I’m providing them with providing with the best possible access to educational opportunity I can. My attendance in this class is poor, a reflection of many things, one being (I am sure) the seriousness with which the students view this class, given the seriousness with which the students themselves have been viewed by the power structure. I’d love some constructive feedback. Such crucial work. I wish I knew what encouragement to offer, but… This feels like what Rochelle Gutierrez is talking about with political knowledge for teaching. Can you recommend something by her for me to read? Thanks. Msg me your email and I’ll send an article if you’re interested.